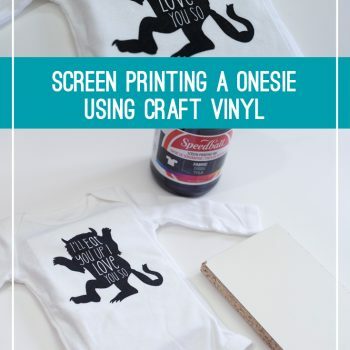 If you have tried screen printing a onesie, you may have found that it’s hard to get an even amount of ink across your design. When the screen doesn’t sit flush with your fabric, it can be hard to get an even squeegee of the ink. This is the same case with hoodies, pillows with a zipper, etc. Here’s a trick that works great for me….. cut a piece of scrap wood and slide it into your onesie. I had a scrap piece of shelving that I found in my garage. You can use any type of wood as long as the surface is smooth. I cut mine to 5″x8″ (it’s about 0.5″ thick). This sizing works great for a newborn onesie. 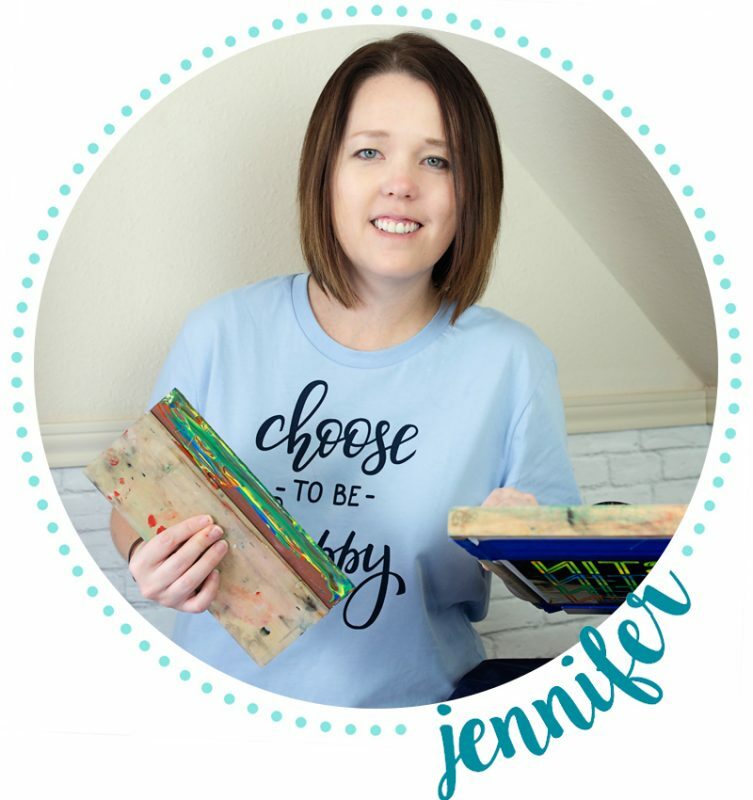 You will want to cut larger pieces for bigger sizes. The wood lifts the fabric just enough to get your screen flush with the fabric and avoid the bumps caused by the seams. To keep your onesie in place, you can use a little spray adhesive on the wood to give it a tacky surface. Take a look at my video below to see it in action. 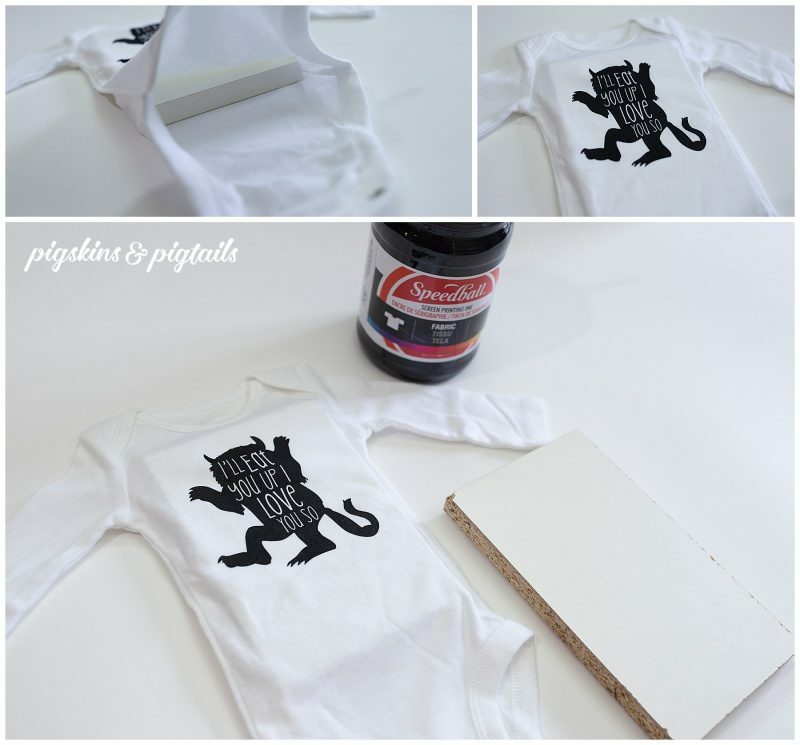 I’d love to see the onesies you create using these screen printing methods. Tag me on Instagram using @pigskinsandpigtails.